Getting (and staying) in shape requires more than an exercise routine and a general desire to eat healthy. To achieve your fitness goals and optimize your performance, it’s essential not only to meal prep, but to snack prep as well. Being prepared with the right foods before and after your workout can make a big difference in your performance. While this may seem like common sense, many athletes are unsure of how to use food and nutrition to enhance their results. Our bodies require three different types of macronutrients: carbohydrates, fats, and proteins. Each are important and have their own unique benefits. Fats can slow down nutrient absorption, so while they may be ideal throughout the day, you’ll want to minimize them around the time of your workout and instead focus on carbohydrates and proteins. To maximize your energy prior to your training session, you’ll want an easily digestible source of carbohydrates. If you’re in a hurry, a piece of fruit usually does the trick. If you have a couple of hours to digest before your workout, you can make a smoothie or try an oatmeal recipe. Having the right snacks on hand to refuel after a workout is arguably as important as the workout itself. Once the sweat session stops, your body enters recovery mode. Your tissues begin to rebuild and replenish themselves, and the right post-workout nutrition can help you achieve your fitness goals. Whether your goal is to lose weight, build muscle mass or increase your endurance, carbohydrates and proteins are essential for recovery. Carbohydrates provide energy while proteins repair tissue. The relative ratio of carbohydrates to proteins differs based on your training goals. If your goal is to build cardiovascular endurance through aerobic exercise, strive for a 1:1 ratio of proteins to carbohydrates. This would be ideal for anyone training for a race, triathlon, etc. If your goal is to build muscle mass, you will want to refuel with a snack that is closer to a 2:1 ratio of proteins to carbohydrates. This would be ideal for someone who is in the bulking phase of strength training. The extra protein is needed to provide you with the amino acids necessary to create muscle tissue. When it comes to the protein aspect of post-workout nutrition, it’s important to note that not all types of proteins are equal. Some protein-rich foods are not complete sources of protein. There are nine essential amino acids that must be consumed to build the proteins your body needs to function, and foods that contain adequate amounts of each of them are known as complete proteins. Most complete proteins are animal proteins like beef, eggs, and dairy; but, there are options for vegetarians and vegans as well, including: soybeans, algae, hemp seed, buckwheat, and quinoa. 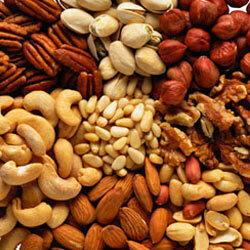 These are great to keep in mind when you are looking for high protein snacks. There are plenty of post-workout snack options to help you achieve your goals no matter what your dietary needs or time restrictions are. Do you squeeze your workout into a busy time of day? The following 5 options are great for anyone in a hurry. These grab-and-go snacks provide both protein and carbohydrates to kick-start the recovery process. 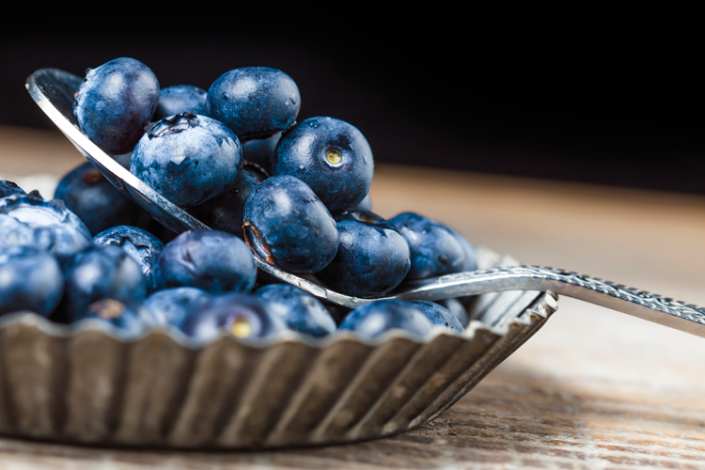 If you have a bit more time on your hands, try making your own post-workout snack. The following make-ahead recipes also provide a protein and carbohydrate mix to refuel after a workout. Are smoothies more your style? Shakes are a great high-protein, low-calorie post-workout snack–not to mention they’re portable and convenient. There are multiple kinds of protein powders available to add to your smoothie, each with their own benefits. The following breakdown can help you determine which kind is right for you. A combination of different types of protein could also work, depending on your goals. 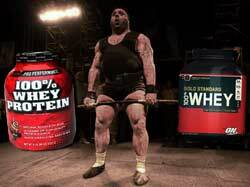 Whey protein powder is the most common type used today. It is a milk protein that is relatively inexpensive, effective, and widely available. It comes in many flavors, allowing you to make a variety of smoothies. It also bakes well into recipes like pancakes and brownies. Hemp protein is plant based, and often found in organic forms. It’s a popular choice for those who want a plant based source for their protein, and those who are taking care with the planet. Casein protein breaks down more slowly than some other types of proteins, over the course of several hours. It’s an excellent choice for people who want to take protein right before they go to bed. Soy protein can be an excellent choice of protein for vegetarians, who may not have a lot of other choices. Don’t be afraid to experiment with different recipes and products to see what works for you. Different fitness goals make for different nutritional needs, and everyone is unique. Based on these macronutrient guidelines, you can make educated choices and tweak them to your individual needs in order to enhance your performance.